Euronest has two Co-Presidents: one from the European Parliament and one from an Eastern Partnership country. The two Co-Presidents have equal status within the assembly. However, their electoral procedures and terms of office are decided by each component of the Assembly separately. The Co-Presidents call the meetings of the Bureau, prepare the Bureau's agenda and convene the Euronest PA plenary sessions, which they also chair in turn. 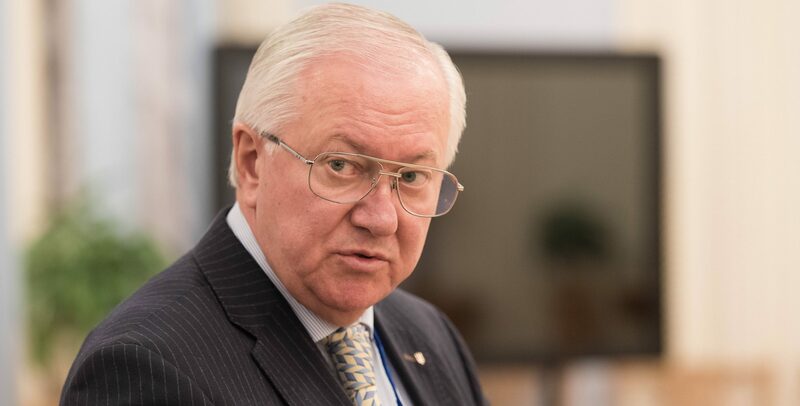 On 12 December 2018, Mr Borys Tarasyuk (Ukraine) was acclaimed new Co-President for the Eastern component of the Euronest PA.
On 2 February 2017, Ms Rebecca Harms (Greens, Germany) was acclaimed new Co-President for the European Parliament component of the Euronest PA. The Bureau consists of the two Co-Presidents and a number of Vice-Presidents (currently eight), half of whom come from the European Parliament and half from the Eastern component. The Bureau is responsible for coordinating the work of the Euronest PA, monitoring its activities and establishing relations with the Eastern Partnership instance sand authorities. The Bureau represents the Assembly and can invite representatives of other Institutions and observers to take part in Euronest meetings. It draws up the draft agenda of the plenary and lays down procedures to ensure the sessions run smoothly. The Bureau meets, on average, three times per year. It adopts its decisions by a two-thirds majority. "We welcome the outcome of the meetings held on 19-21 September 2016 inBaku between the EP Delegation and the highest officials of Azerbaijan,including President Aliyev, Speaker Asadov and Mr. Samad Seyidov MP, as well as important Government's representatives; we are, furthermore,particularly pleased with the resumption of direct EP- Azerbaijan interparliamentary talks with the holding of the Parliamentary Cooperation Committee meeting (PCC) on 21 September 2016. "Once again, inter-parliamentary dialogue is proving a powerful instrument to facilitate mutual understanding, deepen the knowledge of geo-political realities and challenges and help shaping together possible solutions.Differences should not impede to continue talking to each other in a positive and forward-looking atmosphere of mutual respect. [...]"
Heidi Hautala (Member of the European Parliament, FIN) and Victor Dolidze (Member of the Georgian Parliament), Co-Presidents of the Euronest Parliamentary Assembly, deeply regret the decision of the Milli Mejlis to start the procedure leading to a withdrawal of Azerbaijan from the Euronest Parliamentary Assembly. As of today, this decision was communicated to the European Parliament component of the Euronest Parliamentary Assembly; as soon as the Azerbaijani Milli Majlis will formally notify both Co-Presidents, the Bureau of the Euronest PA will take stock of these developments in order to propose the appropriate measures ensuring the continuation of smooth functioning of the Euronest PA. The Euronest PA, indeed, remains the multilateral parliamentary dimension of the Eastern Partnership. As such, it will continue to function, in a spirit of integration and openness, in order to promote the necessary conditions to accelerate political and economic integration between the European Union and the Eastern European Partners. [...]"
Kristian Vigenin (Member of the European Parliament, BG) and Borys Tarasyuk (Member of the Ukrainian Parliament), Co-Presidents of the Euronest Parliamentary Assembly, have condemned the 8 February violent demonstration in front of the National Library of Tbilisi, Georgia, which prevented President Saakashvili from holding his annual address to the nation and caused injuries to some representatives of the United National Movement. "We had been following with interest and hope, last October, the first ever constitutional transfer of power in Georgia happened through parliamentary elections. This had been a signal of evolution of the country towards becoming a modern democracy. Of course, the cohabitation of the major political forces in Georgia, vesting the functions of the President and the Prime Minister, in the run-up to the Autumn Presidential elections, is a challenge.[...]" 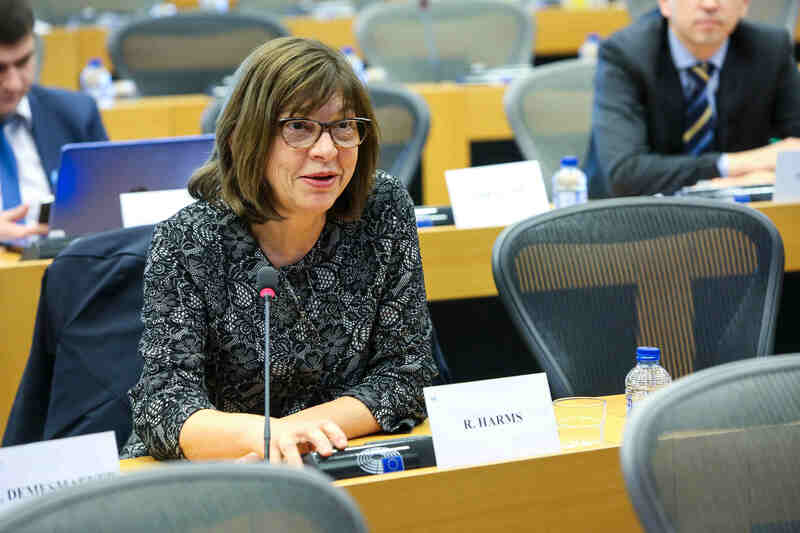 "We strongly reaffirm our conviction, as Members of the Euronest Parliamentary Assembly, that the European Union and the Eastern European States should continue to work together towards democracy in the neighbouring countries of the Eastern Partnership, on the way towards building-up closer ties with Armenia, Azerbaijan, Belarus, Georgia, Moldova and Ukraine a special relationship. "A democratic, stable and prosperous neighbourhood, sharing the values of the EU, is in the very interest of the EU as such and as a global player. [...]"